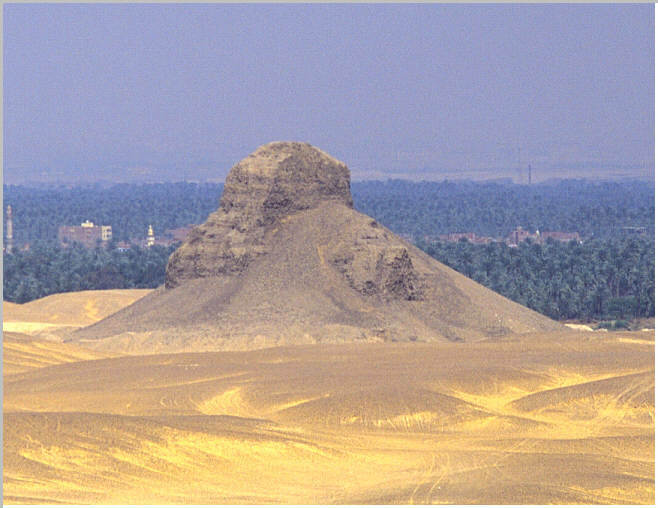 The Black Pyramid of Amememhet III, looking east toward the Nile. Only the mudbrick slumped core remains. The view is an enlarged version of the image below. 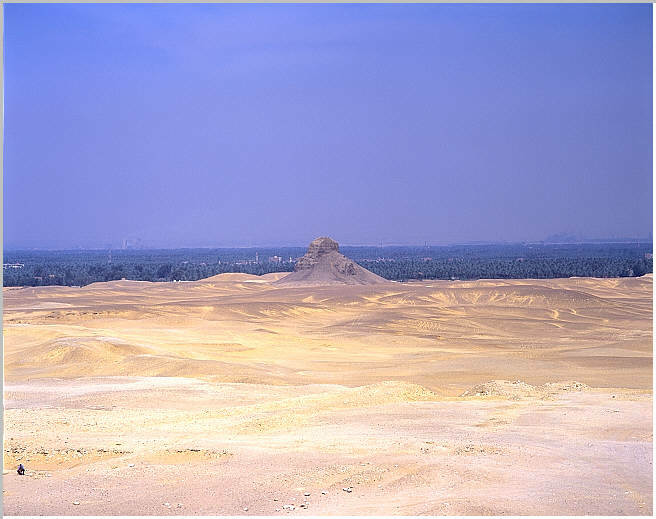 Amememhet III pyramid as seen from Sneferu's Bent Pyramid looking east.